This wooden palette is expertly hand carved and features two dishes for mixing watercolor paints, one coated with a natural white enamel. Created for the aesthetically inspired creative, these palettes are perfect for use in the studio or tucked into your plein air kit! 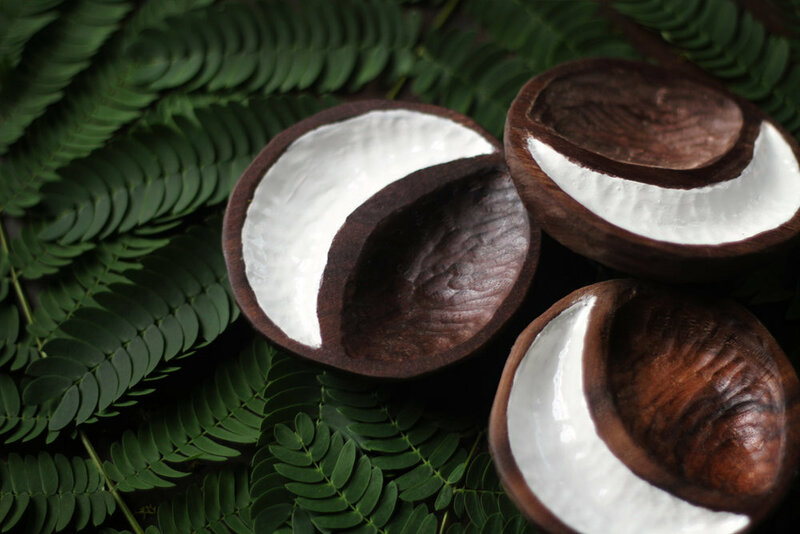 Our walnut wood, crescent moon design offers a unique, whimsical touch. Every palette is made completely by hand using a curved gouge, rasp, and knife and finished with a homemade organic beeswax salve. The natural white enamel finish in the crescent dish ensures clear perception of colors while mixing. The hardwood nature of the walnut wood in the second dish allows for additional mixing space or use as a water dish. These palettes are brought to you in collaboration with Wood Intimations, as a part of our Summer Solstice Collection - you’ll only find this palette here in our shop!